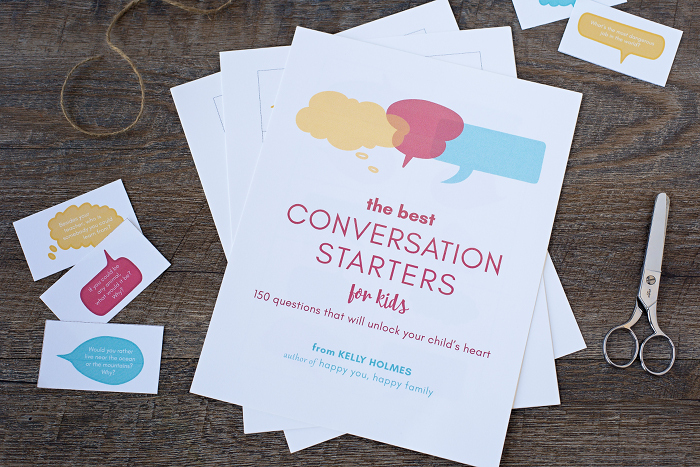 These 150 conversation starters for kids are the key to unlocking what’s on your child's mind. No more one-word answers! 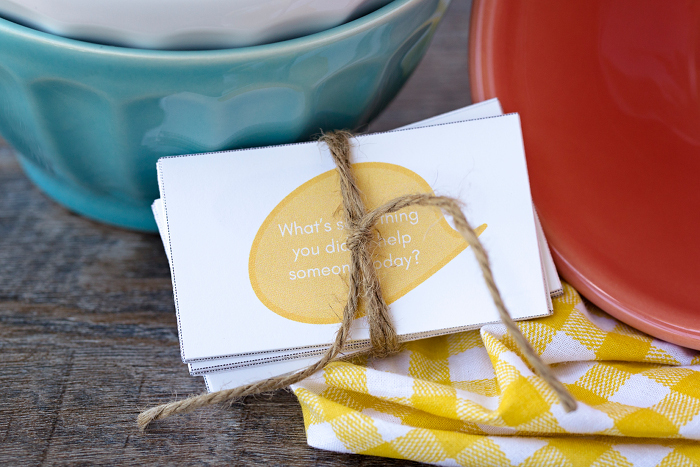 You want to reconnect with your kids at the end of a busy day, but asking “How was your day?” won't do it. You'll hear “fine,” and that will be the end of that. These 150 conversation starters for kids are the key to unlocking your child's heart: what's important to her, what has her worried, what she's excited about. And most important of all, you'll close any distance that's come between you and your child during the day so you both go to bed feeling connected, loved, and happy. Thank you! This popped into my inbox at exactly the right time! I was honestly at a loss with what to do with my previously super positive daughter, who has just started school and is now in a permanent grumpy funk. She won’t talk to us and it is breaking my heart. I’m so excited to try these. Thank you! Thank you so much Kelly, these are great! 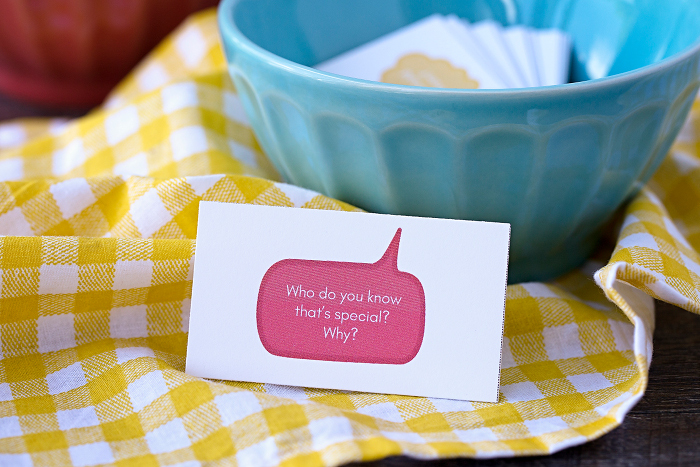 My kids love answering questions at dinner and these are a great addition to our mix.